For AR-15 / M4 / M16 Rifle Series. For 17mm or 22mm (without adapter) barrels. 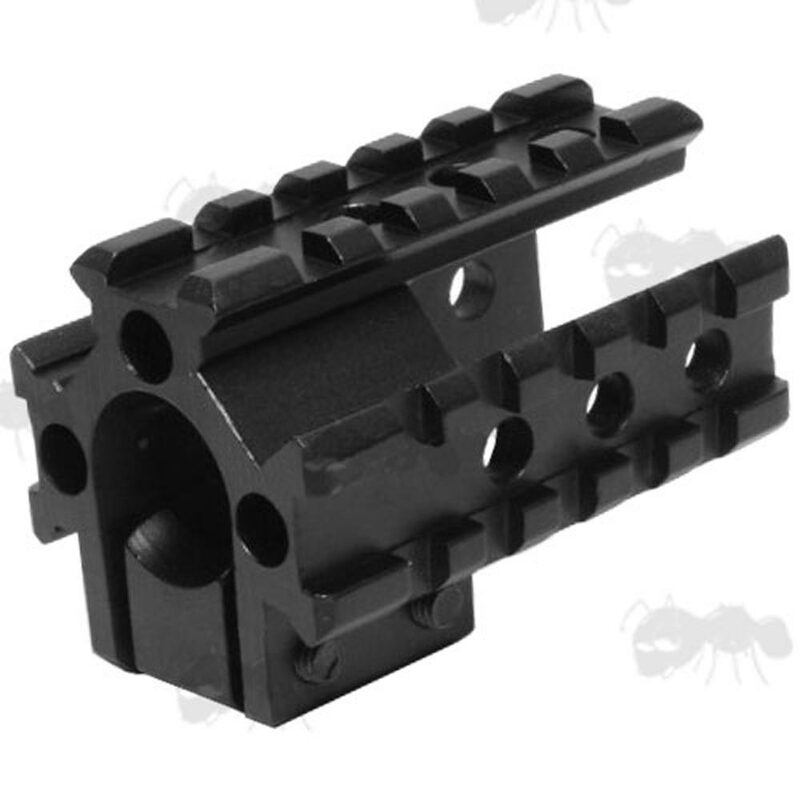 Fits AR-15 / M-16 style rifles. It clamps onto the barrel in front of the front sight base with the rails pointing back. 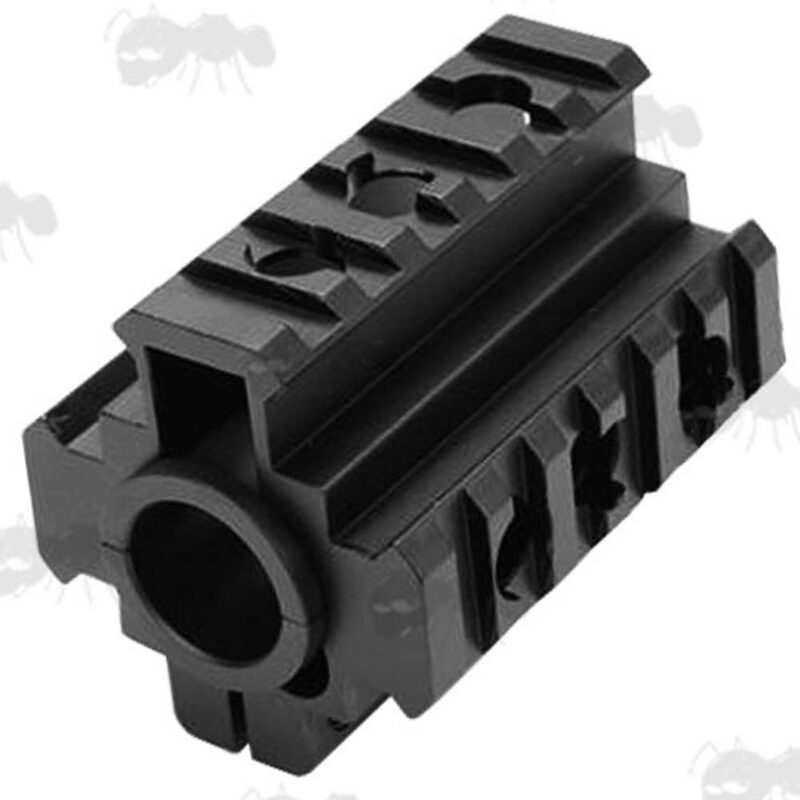 A low-cost yet effective upgrade for airsoft M4 and similar size barrels. Aluminium alloy construction with a matt black anodised finish. Adds 20mm wide rails to your rifle to allow the fitting of Weaver / Picatinny devices such as grips, tac lights, laser sights etc. 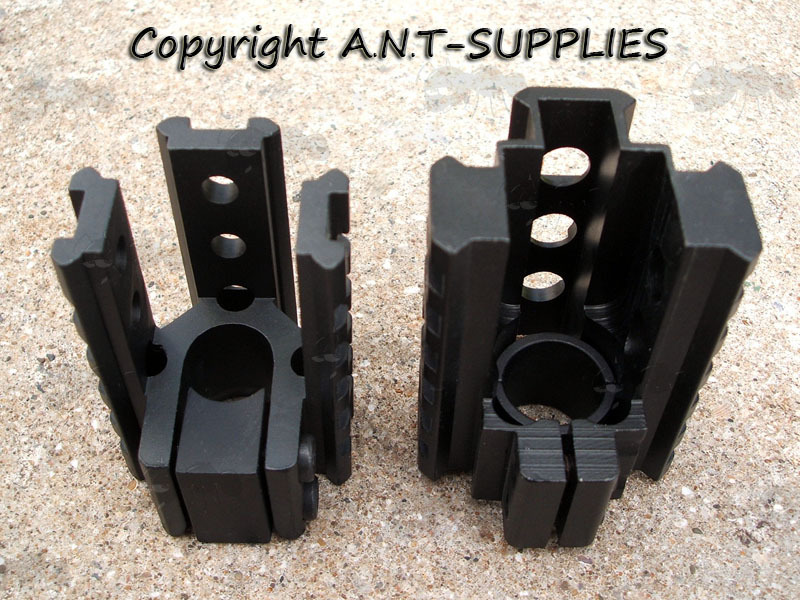 Also available ~ Front Sight Base fitting rails.